Take it from the writer-web developer; user experience heavily affects the learner’s journey. You know your content, you promote it, you share it, but unless you take measures to offer learning experiences exceeding the trivial, you won’t get far. From what I can tell by the looks of it, this eBook is bound to deliver great help in comprehending Learning Experience Design. The diagrams, the figures, and the whole presentation of it is attention-grabbing – to say the least. There is a difference in saving the reputation of corporate training and saving you from the consequences of this bad reputation. InfoPro Learning focuses on the latter. It is my belief, though, that if all mentioned in Create Learning Experiences: Guide To Learning Experience Design (LXD) are exercised faithfully, tables will soon turn. Discover why corporate training is failing, learn what Learning Experience Design is and how to apply it, and check 7 LXD best practices that you can use as a recipe for creating amazing learning experiences. The failure of corporate training is of value only as a lesson. From there on, study the learner experience hierarchy of needs and take time to delve into what Learning Experience Design is. After this significant introduction, comes a well-laid and compelling reference to LXD best practices. One eBook, many lessons, making it a must-read. You realize what this free eBook is about pretty early, as the comparison of traditional corporate learning and what InfoPro Learning suggests unfolds before you. You then get a thorough description of LXD and its effect when applied on your interface. 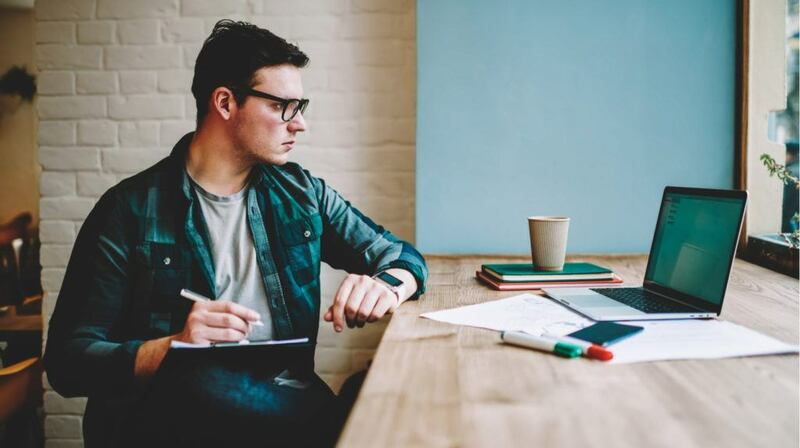 The best is saved for last: This is the time for the writer to let you in on what he perceives as the 7 Learning Experience Design best practices. My advice is to keep them in mind and utilize as many of them possible. What Is Learning Experience Design (LXD)? This eBook makes a start by trying to establish some bits of common logic, as taking the learners’ opinion into consideration. After that follows the deconstruction of a hierarchy model that focuses on tasks. Focus on experiences; create experiences meaningful and pleasurable firstly, but never neglect they should be reliable and functional as well. The pyramid diagram there will prove particularly useful. Taking it smoothly with LXD, Create Learning Experiences: Guide To Learning Experience Design (LXD) suggests that you shouldn’t start from scratch. In many occasions, what stands for user experience design applies here too. What you have to aim for is creating a user interface which supports and enhances learning outcomes while being learner-centered. To get this result, developers at InfoPro Learning combine a number of theories and methods. Finally, you reach the part where the 7 LXD best practices are presented: something like a recipe for creating amazing experiences. Picking from games to websites to apps, all can fit in corporate training, as long as it is in the right proportions. Plan with an effort to understand your learners, motivate them without slipping out of design boundaries, and be consistent are some of the practices that are praised and explained to you here. 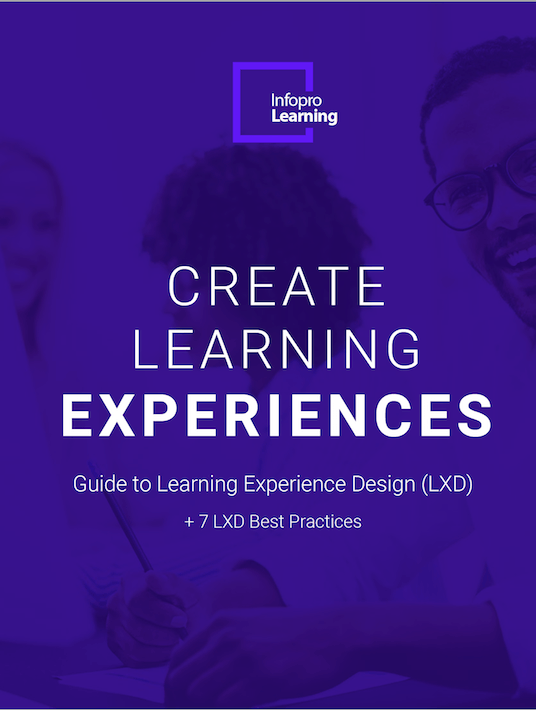 If you want to get into Learning Experience Design, learn a few key best practices, and be reminded of what not to do, download this free eBook today.